In a digital world saturated with marketing campaigns, even the most riveting ads may not capture the attention of your target audience. To truly captivate audiences and reel them in, marketers should strive for adaptive engagement: interacting with people on multiple channels, in their favorite format, in response to their demonstrated preferences. At Marketo’s Marketing Nation Summit 2017, Casey Beal, Facebook’s Manager of Audience and Data Partnerships, spoke on the power of adaptive engagement and its value to agile marketing. With a focus on how to effectively target audiences using Facebook Ads, Beal emphasized the need for an agile and complete MarTech stack. She shared insight on her experience with their client, Berklee College of Music, to shed light on the importance of framing Facebook ads to adequately support genuine and meaningful engagement with consumers. 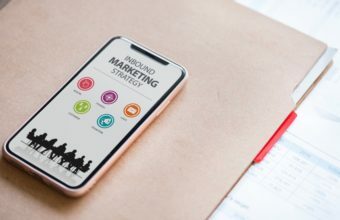 The first step in creating an effective and highly targeted Facebook ad, Beal says, is to be aware of the different levels of your audience engagement funnel and to evolve your marketing campaigns accordingly. “Brands should be driving adaptive engagement with individuals as they move throughout the lifecycle of a brand, based on their behavior,” says Beal. One of Beal’s accounts is Berklee College of Music (BCM). The school wanted to increase applications for their graduate-level music therapy program, and they used Marketo to accelerate that process. With a list of potential students in Marketo, BCM quickly onboarded and expanded those prospects. They then ran a Facebook ad campaign based on student demographics and behaviors, successfully increasing the number of applications to that particular program by 40%. The second part of running an effective ad campaign on Facebook, Beal explains, is personalizing the content appropriately. Personalization fosters better engagement, the first step in building relationships with prospects. Once again, Beal draws lessons from Berklee’s story. The school offers five-week-long summer programs for budding performance artists. To attract the right candidates to these programs, the school used Marketo and Facebook to effectively target individuals with tailored messaging at various times. And in a further application of Beal’s first lesson, the messaging also differed based on where a prospect was in the marketing funnel. How did they do it? Metrics from Facebook Ads provided a holistic view of ad performance across platforms. BCM can customize how data is displayed and who the data is shown to, on top of using breakdowns to access metrics they care about. For example, if they want to reach graduating high school seniors, they can create a personalized campaign by selecting the campaign’s date range and targeted demographics. They can then use these breakdowns to refine campaigns over time, improving their marketing agility. After targeting high school seniors, for example, BCM can evaluate how that particular age group engaged with an ad. What devices–phones, computers, tablets–are they using? Where exactly they are viewing the ad? Easy access to relevant, contextualised information gives BCM a greater understanding of their students–the kind of understanding that is foundational to relationship-building. Looking forward, Beal promises that maintaining a solid foundation of engagement isn’t the only item on Facebook’s agenda. The social media giant is committed not only to connecting people, but also to helping build communities through emerging technologies, such as augmented reality. On the advertising side, Facebook continues to invest in and drive relevant ads to increase and better the human experience. “Marketing engagement is the consumer experience. Better experiences generate better opportunities for marketers,” says Beal. Want more ways to supercharge Marketo and your marketing workflows?